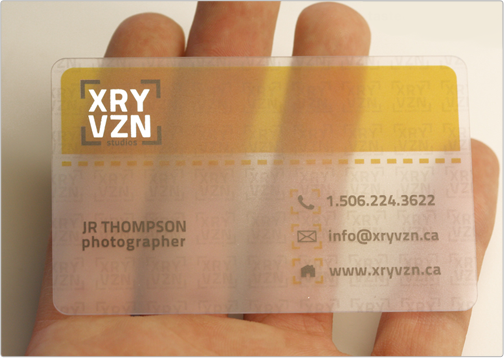 The XRY VZN Studios transparent plastic card structures a corporate and modern company image. The unique design implements a decorative foil stamp to promote the logo and provide brand visibility. 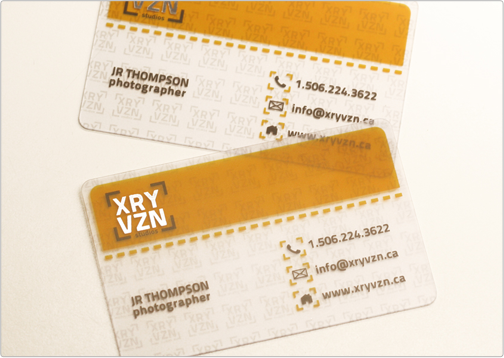 Specs: frosted transparent plastic bc/ spot gloss 1 side/ silver foil 1 side.